Start to the northern nature! 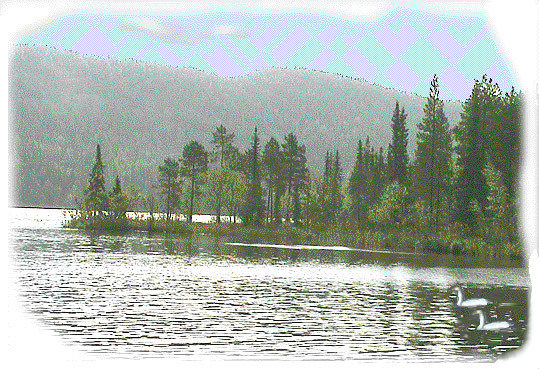 "Northern Nature" includes a general description of the nature, ecology, vegetation and animal world in Northern Finland, and news from the nature. The editor-in-chief of this programme is prof. (emeritus) Paavo Havas (Oulu, Finland). Dr. Juha Viramo, former head of the Oulanka biological station (retired, University of Oulu) has made the numerous of manuscripts of the "Animal world" -sections. Docent Kalevi Kuusela, (retired, University of Oulu) has revised the english terminologies of insects (especially the names). The first English version was made by prof. P.Havas, assisted by Hannele Heikkilä (Thule institute) and supported (translations to english) by the University of Oulu and Thule Institute of the University of Oulu. This version was first used on January 2000. Broad updating have done in winter 2001-2002. Translation of new parts to english are supported by the University of Oulu and translated by MSc Tiina Junno (and Sari PulkcS3inen). The translation task has been continued in years 2005 - 2007 in control of university lector Lisa-Leena Opas-Hänninen (Department of English, University of Oulu). The first Finnish version came out on March 25th, 1999, and it is last uppdated 8.1. 2001 (large updating). Small updatings will make at least every week. This programme has prepared mainly with Adobe GoLive (versions 5.0, 6,0 CS and CS2) and Adobe Dreamweaver, animations with Flash (versions 4.0, MX, 8 and CS3). The illustration is made by Paavo Havas (digitalcamera + Photoshop) if not otherwise mentioned. My brother Martti Havas ja my daughter Johanna Havas have taken a lot of pictures published here. In autumn 2002 a lot of pictures was added from the book: Hallanaro, Eeva-Liisa, Pylvänäinen, Marja. 2002. Nature in Northern Europe - Biodiversity in a changing environment. Nord 2001:13, Nordic Council of Ministers, Copenhagen. Short instruction to use this program! Select the desired section on top of this screen!